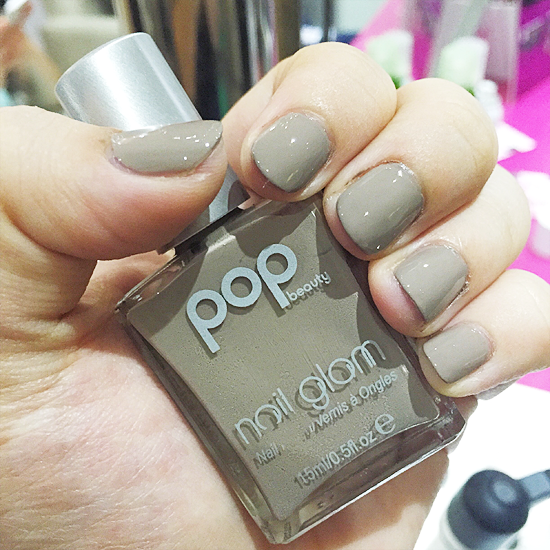 There's really nothing like getting glammed up from head to toe, right? When my hair is perfectly styled, my makeup is looking on point, and my nails are primped and polished then I feel like I can take on the world. 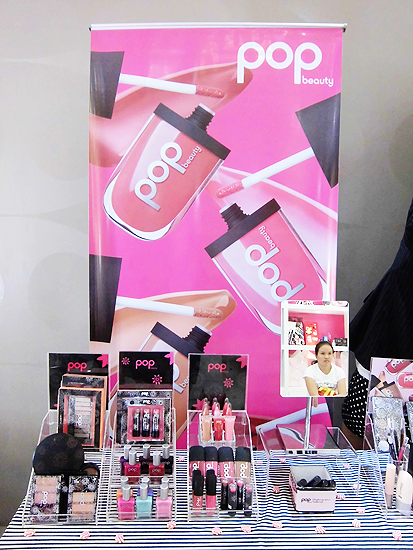 Last week I got the chance to get totally beautified at the launch of UK cosmetics brand, POP Beauty. I've been hearing about the brand quite a bit from other international bloggers, so I was happy to hear it's finally reached us all thanks to the Glamourbox team! 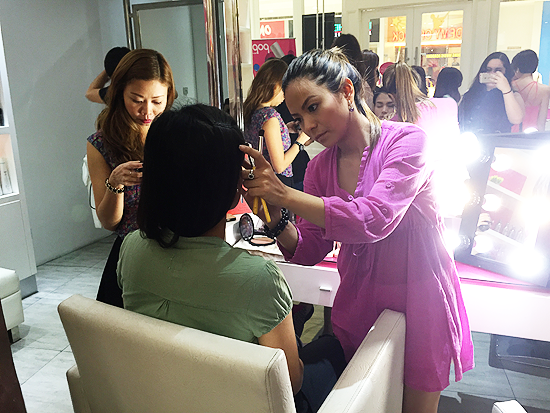 The event was held in Blo Blow Dry Bar at SM Megmall's Mega Fashion Hall. 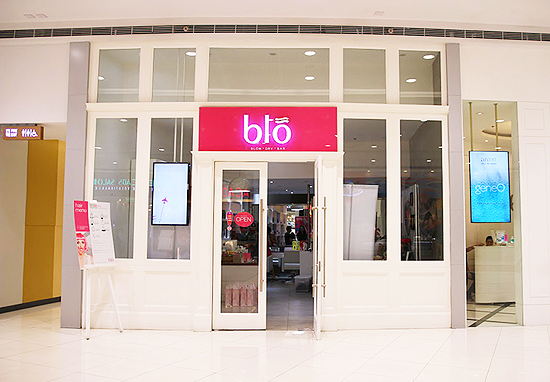 I actually talked about Blo before when they first opened their flagship branch in the country. You can read all about it here. 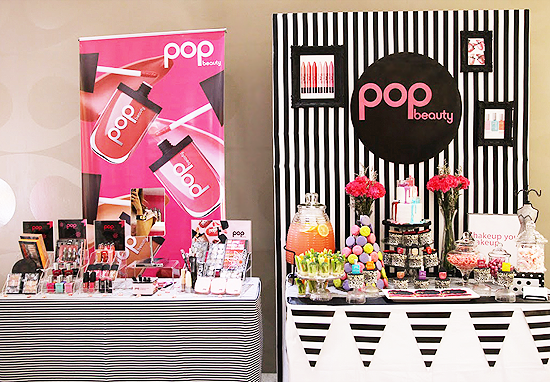 So what is POP Beauty? It’s the brain child of Swedish-born, London-raised singer and internationally acclaimed makeup artist Sara Strand, who wanted to find the perfect products to use on both her clients and herself that would really pop. 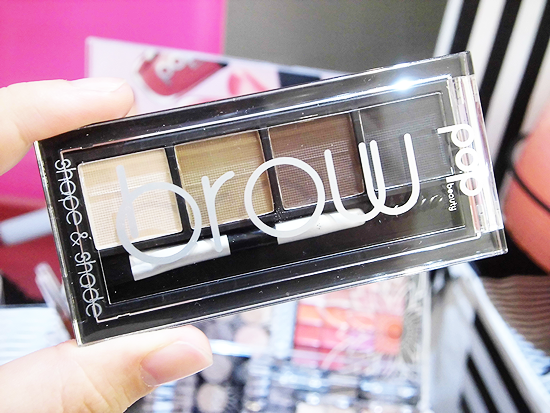 In the beauty world, it means giving that bit of ‘oomph’ which really pulls together and completes a look. According to Sara herself, "It’s all about seeing yourself with new eyes - you can really POP when you move away from your routine and allow yourself to play and to try something new!" 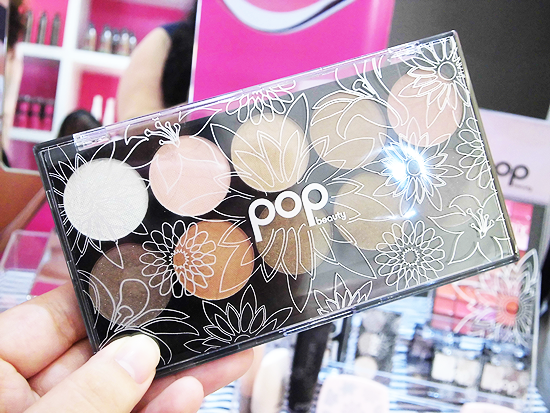 What surprised me most at the launch was just the variety of products POP Beauty has to offer. 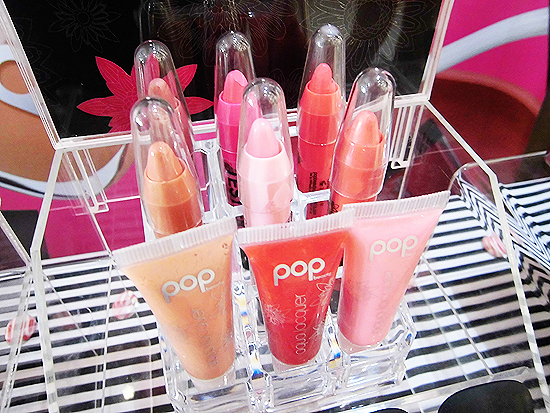 I was expecting the standard fare of lipsticks, lipgloss, powders, blush, eyeshadow, etc. 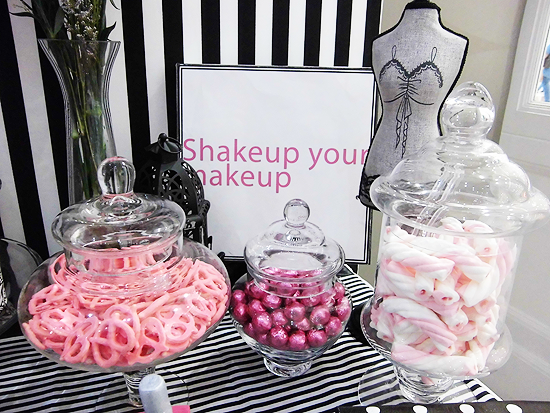 But there was also an entire nail polish line, beauty sets, lip tints, and more! Of course since we were at Blo, the talented Blo stylists were there to get everyone's tresses in tip-top form. You could choose which style tickled your fancy for that day from the Hair Menu. After I got my hair done, opting for a simple, sleek blowout, I naturally wandered over to see what treats I could munch on. Let me tell you, the food was just as exciting to look at as the makeup! All the goodies were made by La Dolce Vita Cakes & Pastries. 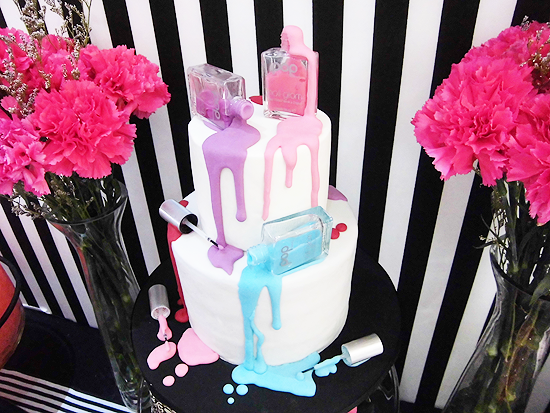 Just look at that awesome nail polish cake! 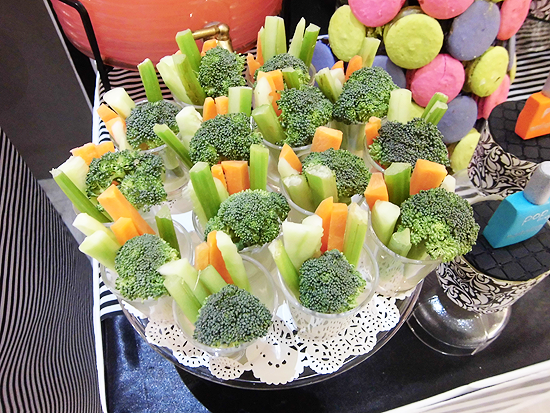 For the more health conscious guests, they thoughtfully provided fresh veggies (broccoli, as well as celery and carrot sticks) served in shot glasses. 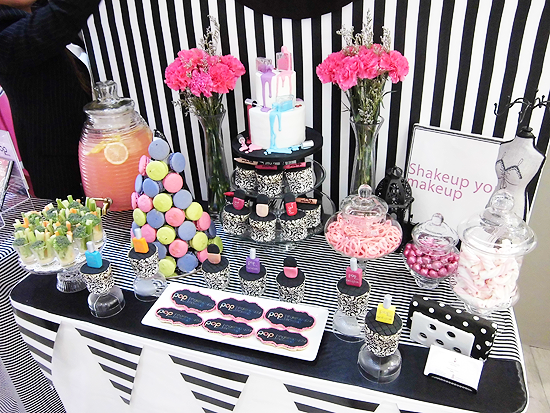 If you have a sweet tooth, like me, there were cookies, pretzels, cupcakes, chocolate, and marshmallows to gorge on. They had a whole lot of pink lemonade to wash everything down too! 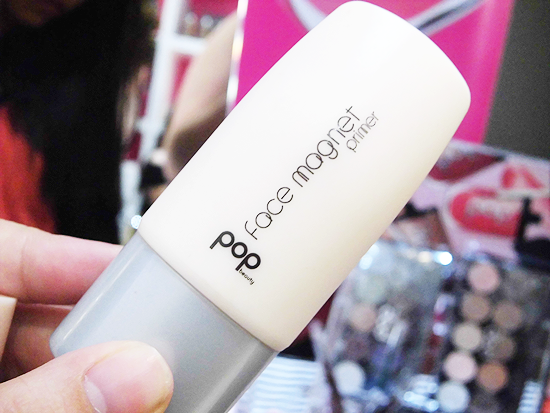 What's a beauty launch without getting to try out the goods, right? 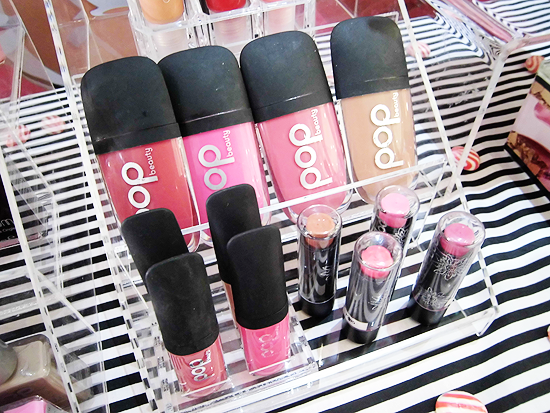 Makeup artist Daisy patiently did all our makeup using POP beauty products, of course. 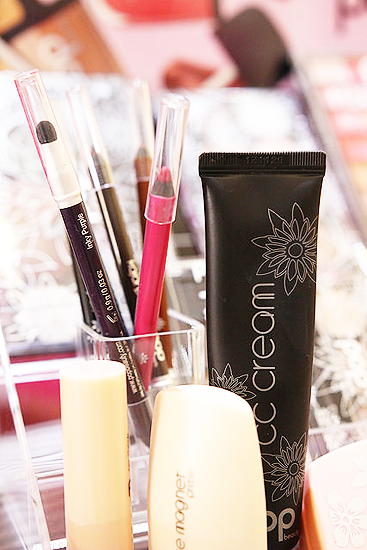 Daisy started off with the Face Magnet Primer, then evened out my complexion and gave it some light coverage with the CC Cream Colour Adapt. She set my makeup, and added a bit more coverage, using the No Show No Shine Powder in the lightest shade which is "1 Even Out". 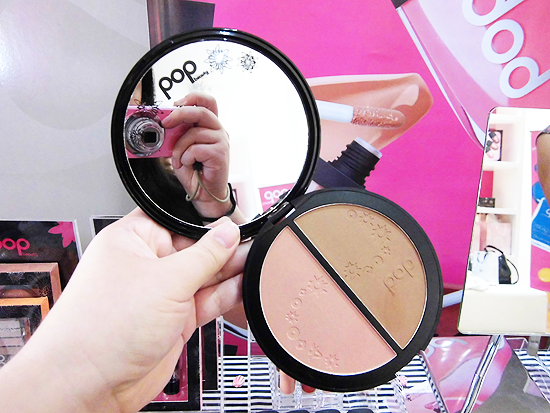 Lastly, she gave me that much needed pop of color and contouring with the Double Duty Bronzer in "Bronzed HoneyBeam". For my eyes, Daisy used and blended together a few of the shades from the Bright Up Your Life (Naturally Bare) eyeshadow palette, lined my eyes with the My One Liner liquid eyeliner, and filled in my brows using the second to the darkest shade with the Brow Shape and Shaped Naturally Defined eyebrow powder palette. For the finishing touches, Daisy applied the Pouty Pop Crayon in "Coral Crush" to my lips and the Peak Performance Mascara in "Inky Indigo" to my lashes. For those of us who wanted to try POP Beauty's Nail Glam polishes, we could get a manicure courtesy of Juju's Spa Express. After some debating, which took a whole five minutes, I opted for the shade "Bare Tease". Isn't it such a lovely, unique color? This is the kind of polish I could wear over and over and not get sick of. 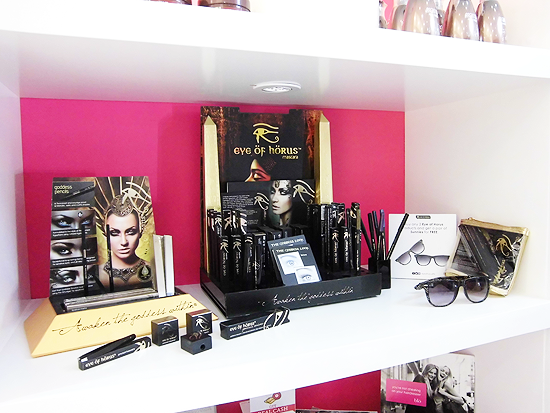 As the official distributor in the country of Australian beauty brand Eye of Horus, Glamourbox brought in some of the products for us to check out too. The beautiful Angel from Pinkoolaid, whom I've been a fan of for the longest time, and Kaycee from Kikay Si Kat. 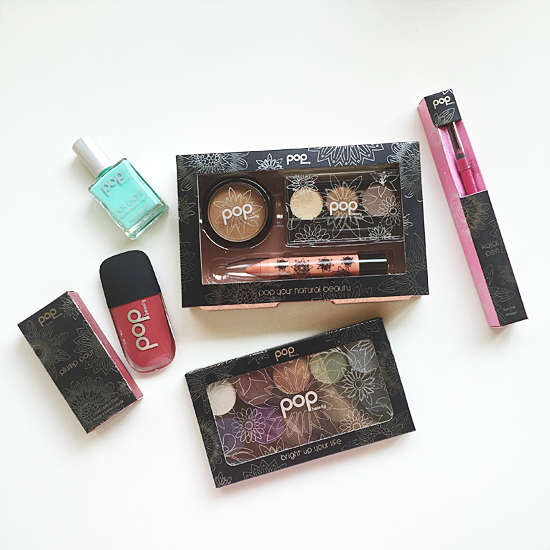 These are the generous goodies I received from POP Beauty and Glamourbox that day and I'm already road testing them all out so I can do proper reviews of them ASAP. Thank you Angel and Greta for inviting me to the launch and introducing me to such a fun brand! 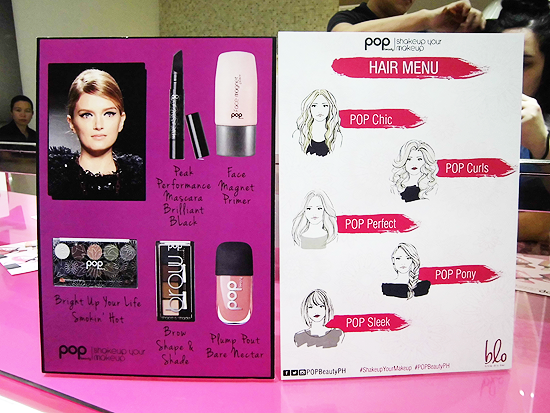 POP Beauty is available in Glamourbox Landmark Trinoma, Purebeauty, CommonThread, select Snoe stores, and www.glamourbox.ph.